The defending Olympic champion and world record holder, Dana Vollmer, came through the heats with no problems, setting the second fastest time in the world this year in 57.22. She won her heat quite comfortably, but finished behind Ottesen Gray in the semi-final in 57.84. No swimmer has ever won the World title after winning the Olympic gold medal in this event, but the German will be hoping to change that statistic. The third favourite is Alicia Coutts. She cruised in behind Vollmer in the heats in 57.56, but currently holds the second fastest time in the world this year at 57.18, suggesting she can comfortably go quicker than this. She was reasonably slow in the first 50m of her heat, but came through with the second quickest last 50m. She came in second in her semi-final as well behind Sjostrom in a time of 57.49. Sarah Sjostrom was the second fastest in the heats with the third fastest time in the world this year. She had a reasonable first half, but it was the second half of her race that caught the eye as she came home in 30.16 for the last 50m, almost 0.35 seconds quicker than anyone else. She backed this up with the fastest time in the world this year in the semi-final with a 57.10. Katerine Savard won her heat comfortably in a time of 57.31 – her quickest time of the year. She is in excellent form this year, although whether she can go much quicker than this remains to be seen. She will have been slightly disappointed with her 58.00 in the semi-final though. Even so, if she can replicate a similar time to her heat in the final, she might be an outside shout for a medal. Jeanette Ottesen Gray qualified fifth fastest in the heat, but put in a brilliant time of 57.19 in the semi-final to set the third fastest time in the world this year and qualify second fastest for the final. If she can replicate that time in the final, she will certainly be challenging for the medals. 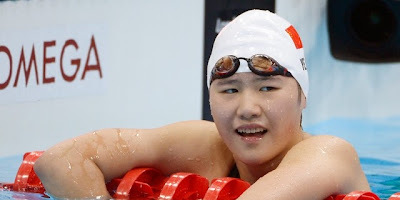 Yi Shiwen was one of the stars of last year’s Olympics, winning both the 200m and 400m individual medley gold medals. 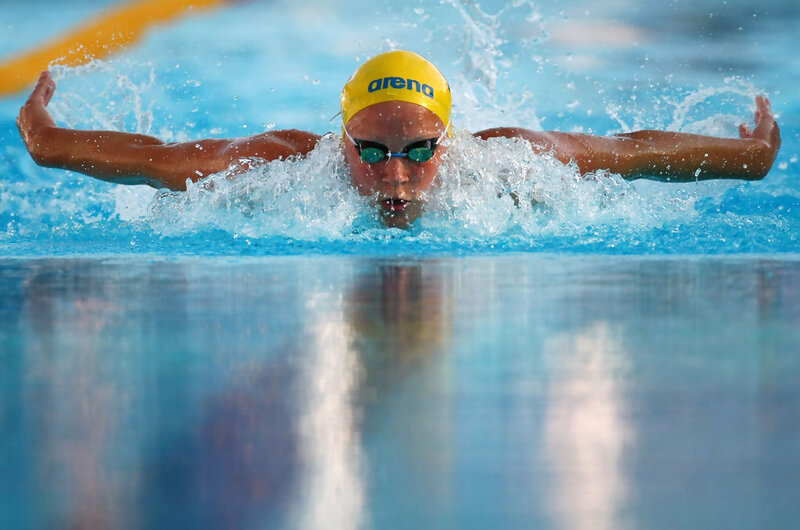 She has only swum this event twice this year, but both have been sub-2:10.00, including a win over her closest rival, Alicia Coutts, at the BHP Billiton Super Series in January. She is the defending world and Olympic champion and showed her form by winning this event in the short course format. She swam the second quickest time in qualifying and looked to have plenty left to give. Alicia Coutts won the silver in both the Olympics and the last World Championships, and is currently the fastest woman in the world so far this year. However, her major problem is beating Shiwen and the more times the Chinese swimmer wins this head-to-head, the more the doubts will creep into Coutts’ mind. The other disadvantage is that she will already have swum the 100m Butterfly on the same night, so whether she can remain competitive in both events remains to be seen. While it is almost inconceivable to imagine either of these two not to win the gold medal, there are plenty of other talented swimmers in the race. Katinka Hosszu was only just beaten by Shiwen in the short course 200m individual medley and has performed very consistently this season. She set the fastest time in the world this year in qualifying quickest, but I think that is close to her limit and her challengers have more to give. The Olympic bronze medallist, Caitlin Leverenz, should be her closest challenger for the bronze medal here. Her current times compare favourable to where she was last year heading into the Olympics, and she will be hopefully of at least matching the third place from London. She finished second in her heat behind her teammate, Elizabeth Biesel, who set the fourth quickest time in qualifying. Zsuzanna Jakabos is the fifth fastest in the world this year and has improved significantly since her seventh place finish in London last summer. She has taken over 1.5 seconds off her personal best and will be looking for a good performance here. The British pair of Sophie Allen and Siobhan-Marie O’Connor will probably be looking more at reaching the final, rather than competing for medals, while Spain’s Mireia Belmonte and Emily Seebohm are likely to be the two that they are challenging for spots in the final.